With roots set in the convergent space between doom metal. film music, and apocalyptic comedy, The Atomic Bomb Audution has fashioned its own expansive voice. The Bay Area quartet consructs deafeningly loud yet meticulously detailed sound worlds using a film director's sense of scene, each element chosen to serve the whole. 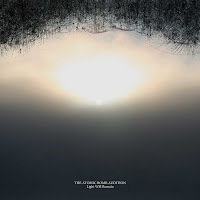 The sound is 21st Century post-metal amalgam of myriad elements: excoriating guitars, haunting bowed contrabass, Moog synth trickery, thunderous percussion mosaics, feedback melodicisms, dulcet gamelan, and moon-governed anthemic crescendos among much else. With pieces clocking from ten to twenty minutes, the band elaborates a wide arc of deliberate sonic architecture through theme and variation rather than indulging in explanatory jams. Sounding at times like Neurosis interpreting the Cure's Disintegration, their artistic touchstones include The Melvins, Mullholland Dr. Bohren und der Club of Gore, Jerry Goldsmith, Bill Hicks, Brian Eno and Pink Floyd's Animals; artists who know how to navigate a wide field of influences with originality and aplomb. Their 2nd full lenght album, Light Will Remain, is an immense work that represents the band at their creative apex. The album is an evocative document of the art of memory and the evolving significance of events through time. The desire to illuminate and darken aspects of our psychic apparatus based on the indeterminate verity of belief and sense drives this collection of narratives. Peaks of crushing psychedelic metal are buried under ebbs of seasick chords and gently whirring vibraphone. A stoic black hole guitar and bass maw repels celestial debris of processed percussion and voice towards the horizon. The band forges sound like aural filmmakers evoking wavws of synaesthetic images.